The Cherry Hill barnstorm will organize to pressure Donald Norcross, who has received $140,235 from the health sector in the last cycle. Both Pallone and Norcross have campaigned on describing themselves as Progressives. Asbury Park on Jan 26. 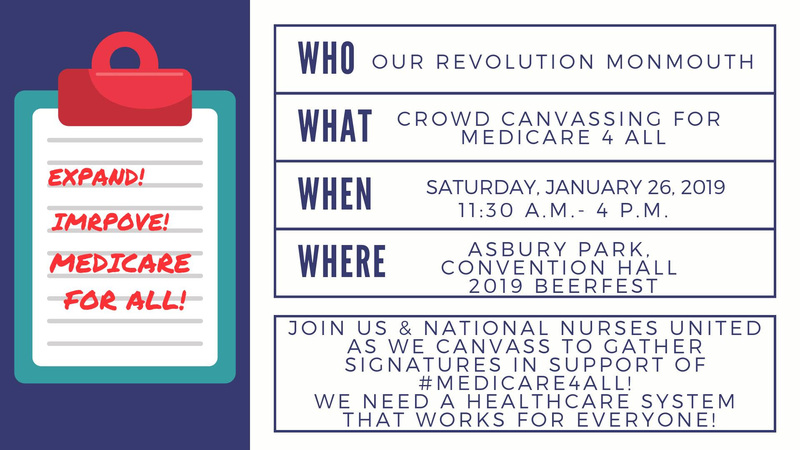 Volunteers will first meet at the Asbury Hotel at 11:30 AM for a short training, then head to the Convention Center for the Beer Fest at 12 PM. New Brunswick on Jan 27. Volunteers will first meet at Hidden Grounds coffee shop (the location closest to the train station) at 10:30 AM for a short training, then head to the Albany Street train station at 11:00 AM. 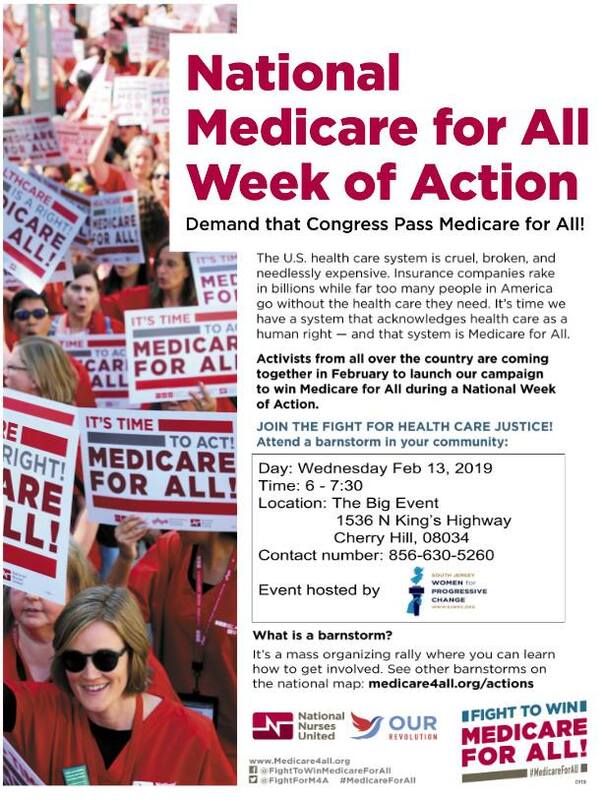 There will also be a phone bank on Jan 31 at the URA-AFT office in New Brunswick at 5:30 PM to invite people to the New Brunswick barnstorm. Information on the canvasses and barnstorms are on our website. 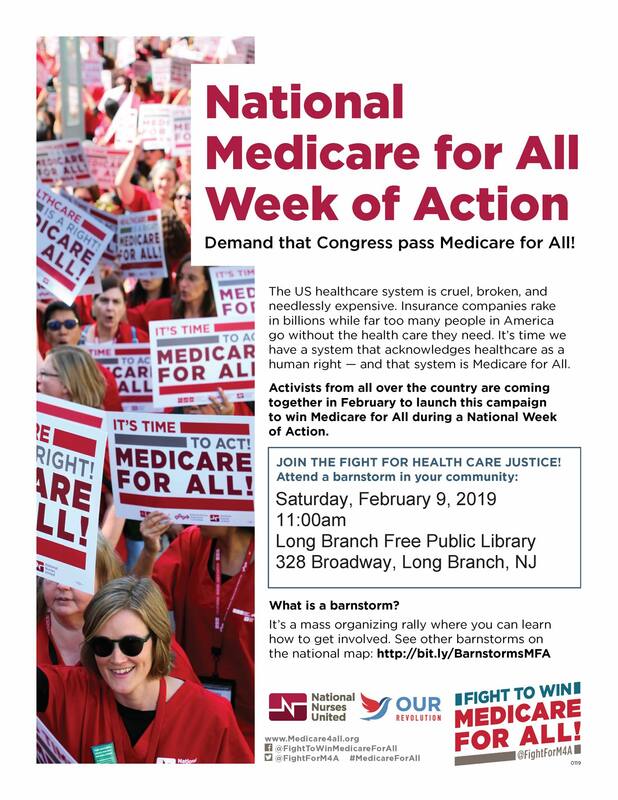 Our Revolution Essex County will host a Medicare for All forum on Feb 10 at The First Congregational Church in Montclair from 2-4 PM.